For most working through WWE developmental, there is no greater goal than reaching the WWE Main Roster. After days, weeks, months, years of putting in your best for your boss, they’ve finally recognized your hard work and given you the bump up you deserve. A raise, international travel, and appearing in front of huge crowds in the most popular promotion on Earth; what could be better? Unfortunately, life isn’t a fairy tale, and it doesn’t always work out the way anyone hoped. I’d venture a guess that many on the following list would tell you the same. These are some of the most popular wrestlers from WWE’s developmental brand; former champions, great gimmicks that didn’t translate to the main roster, and some that, well, the machine didn’t get behind. Let’s be clear – none of the individuals or teams listed on the following pages are failures by any means. In fact, many are some of the Win Column WWE writers favourite wrestlers; they’re not on here because we’re disappointed in them, we’re disappointed they haven’t been given more after terrific runs in NXT. These are all Superstars we figured would majorly figure into WWE’s plans – and in some cases, have, just not in ways we’d enjoy. 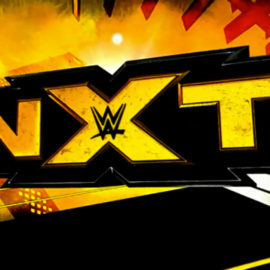 Hit the button and get started with Win Column’s Biggest Disappointments from NXT!